If you’re a forex newcomer, there is often a common question about how to set your starting budget and risk level. This article will be helping you decide how much you should spend, how high the risk you should take, and how to control your investment. One advantage of trading forex is that the capital cost can be variable. Your starting capital as a new trader can even be extremely low, and therefore this shows that a beginner doesn’t need to be wealthy to participate in such an immense market. However, to generate a substantial profit, a certain minimum amount of capital is needed. How much spare money do you have? The first and the second questions have a close relation. For example, if you have $10,000 of idle money in your bank account and are an adventurous person, you can invest up to $5,000 in the forex market. Conversely, if you are risk-averse and look for a safe approach, you can start with $1,000. However, if you only invest $100 while having $10,000 of idle money, it won’t be worth your effort. Your trading strategy is also an important factor to consider when choosing your budget. If you are a short-term trader with small stop-loss settings (less than 15 pips), you can start with a small budget. However, if you are a long-term investor with stop-loss settings of more than 100 pips, you will certainly need a large budget to make sure that you stick with risk management rules. Keep in mind that profit always come with risk, and income must be consistent over time to achieve a worthwhile return for your time and effort. Based on what we discussed, you may learn that budget should be at a certain level on one hand, and risks must always be kept in check on the other hand. There are a lot of advice and articles online that says risking 1% of your balance on one trade is the forex industry standard, but in fact, it should not be a fixed number because it also depends on your capital and risk tolerance. A small risk keeps your balance stable, but it also holds your opportunities back. Nevertheless, a small risk is a good idea for most of the beginner traders because they are usually the most aggressive, and unfortunately, therefore most likely to lose. Also, close stop-loss settings are also recommended; they will save you from wrong consecutive decisions and calm any trading aggression down, but still keep your enthusiasm up. With 1% risk of your balance, losing 20 orders in a row still leaves you 80% of your capital, which sounds not too bad. Choosing a proper risk must also fit with your trading strategy. Short-term traders may start with a small budget but take a higher risk, since they usually tend to focus on even small changes to seek for fortune and to avoid risk manually. In contrast, long-term traders who spend hours analysing usually reach a profit with enough time, so they often have large budgets but use but have smaller sizes per trade. The capital and risk always come together and are “double edges of the sword”. Oh, wait! There’s one more thing. 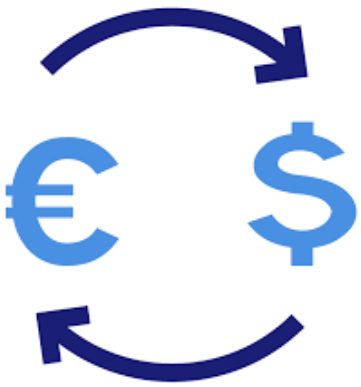 When you are ready to step into the market, you will have to choose a forex broker that fits your budget and trading strategy, as well as providing the platform you prefer for trading, such as mobile or MT4 (Metatrader 4). So, don’t forget to check brokers’ minimum deposit requirements, trading conditions, and platforms they provide.